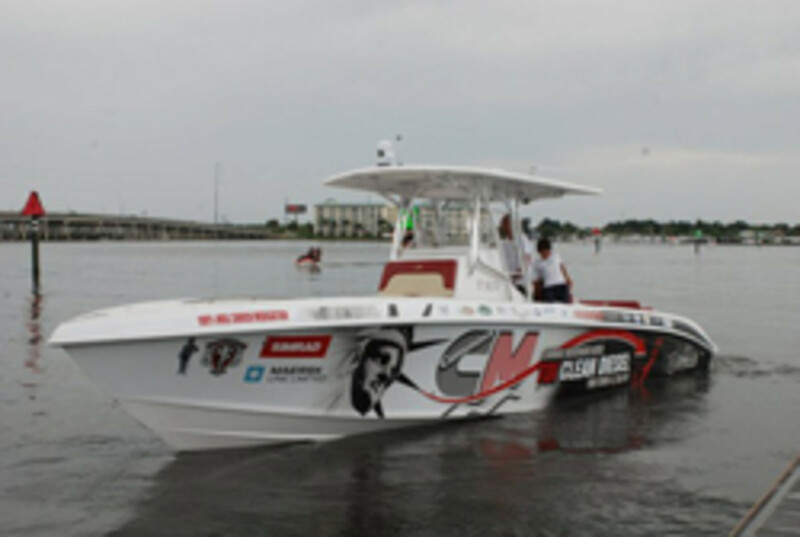 Chris Fertig plans to make his second attempt at breaking the New York to Bermuda Challenge record in his 37-foot Statement Marine center console with twin Mercury TDI diesels. Weather permitting, Fertig expects to cast off at 9:30 a.m. Saturday from Liberty Landing Marina in Jersey City, N.J. A live map and streaming video during the run will be hosted on Boating magazine&apos;s website. Fertig’s first attempt was unsuccessful because of weather conditions. Only three boats — all outboard catamarans — have completed the 760-mile run from New York to Bermuda, according to Boating magazine, which sponsors the attempt. In 2002, the record time was set at 22 hours, 23 minutes, which still stands. The boat was a 31-foot Prowler. Fertig said his Statement monohull can maintain more than 30 knots in rough conditions with its air-cushioned deck, which compensates for slamming loads. The air-bag technology is being developed by Statement Marine, of St. Petersburg, Fla.